Wondering How to Choose Your Next Camera? In this post Kim Brebach from Get the Picture shares some advice on the topic. As on any journey, the next step depends on where you start. If you’re a pro shooter, you won’t be reading this because you’ll know what you need or want. If you’re a serious amateur, you’ll also have an idea of what camera you want next but you may still be looking for some clues. If you own a Point & Shoot you bought 2 – 3 years ago and now want something more serious, you’ll find this useful too. We hear this so often. Obsolete means disused, discarded, antiquated but, chances are, the camera you bought 2 – 3 years ago probably still works fine. The most likely reason you’ll discard the old camera is that you’ll replace it with a newer one that offers much more. So it’s really you who’s making the old one obsolete, isn’t it? I’m just making a point: as long as the gadget performs to specs, it hasn’t lost it’s intrinsic value. When it’s overtaken by more advanced technology, it simply loses its market value. That’s where the obsolescence idea comes from – your friends have newer cameras and make you feel embarrassed. Then again, you may have progressed and need a camera with more functionality or one that delivers better image quality. Where you’ll feel the most pain in changing over is with high-priced fixed-lens cameras like the bottom six on this chart. Why? Because you’re shelling out DSLR type money ($500 +) and there’s nothing you can salvage when you want to upgrade. And, by the time you’ve decided to do that, you won’t get much for it on eBay any more. Megapixels haven’t mattered since 6mp sensors became common, and the smart makers no longer push megapixels. Panasonic’s Lumix DMC-LX3 was the image quality king until Canon released the S90. Both use f/2.0 lenses and 10mp sensors, giving us flexibility for shooting in less than perfect light. Sense is returning to a patch that was as free from it as a frog is from feathers. DSLRs lenses don’t become obsolete as they’ll work on your next camera body – if you stay with the same brand. DSLRs are quite a leap in size from pocket digicams but a new category has been created by the Micro four-thirds contingent, led by Olympus and Panasonic. Their new compact designs with interchangeable lenses don’t use an SLR type see-through-the-lens arrangement with penta prism or mirrors. Instead they make do with an optional electronic viewfinder and a live view screen. These cameras are a lot smaller than DSLRs, and the Olympus E420 in the photo is one of the smallest on the market. The lenses are smaller too because of the smaller 4/3 sensors which are less than 2/3 the size of the APS-C sensors that grace consumer and prosumer DSLRs. And they do video just like consumer DSLRs, or better. Several models are made by Olympus (E-P1, E-P2) and Panasonic (GH-1 and GF-1). Samsung has announced the NX10 which uses the same design concept but a bigger APC-s sensor, and Sony has foreshadowed its intention to do the same. Olympus has just seen the light on price and introduced the E-PL1 at a much more reasonable US$600, with built-in flash and improved navigation. The other makers will no doubt follow suit on price as this market niche grows into a more competitive one. Ricoh came up with a more radical concept for its new GXR compacts: interchangeable lens/sensor units. Every lens unit includes sensor, shutter, aperture, processing engine and AF & zoom motors. The body provides the screen, card slot, controls and flash. One advantage is that each sensor/lens combo can be optimised for its task – using a small digicam sensor, for example, to keep the size of zoom lenses small. The obvious downside is the built-in obsolescence of the lenses, since they contain sensor and processing electronics. Here, Ricoh’s GXR concept stands in sharp contrast to DSLR systems where the lenses keep their value for decades (and sometimes increase it). The new compacts may be trendy chic but they’re up against strong competition. A Nikon D5000 can be had for about the same money as the Olympus E-PL1, and it’s a very capable camera with a bigger and better sensor and wider choice of lenses. Same goes for Canon’s EOS 500D and the Pentax K-x, which all offer well-priced twin-lens kits. That’s the best way to buy them unless you already own the lenses you need. If you’re buying a DSLR for the first time, take your time choosing the brand you select because you’re committing to a proprietary system. You might start with a single or twin lens kit but you’re likely to end up with more lenses if your photo passion persists. Once you have more than a couple of kit lenses, swapping brands becomes painful. Why would you swap brands? A few years ago, Canon was the king of this heap. Then Nikon caught up and surged ahead in certain areas. A pro shooter friend had a Canon system probably worth $25,000 with all the pro lenses. For his type of work, Nikon turned out more suitable lenses than Canon after a time, so he swapped systems. No doubt the order will change again, and Sony or Pentax might even crash the party. The good news is that you can easily sell Canon and Nikon DSLRs and lenses on eBay. That goes for other brands too but may take more time and effort. There is a fair bit of work involved in doing this, and you won’t get all of your money back, so I repeat my advice: choose you brand carefully when you’re buying a proprietary DSLR system. Just why camera makers haven’t standardised on lens mounts and basic electronics for ‘plug-and-play’ ease is a question for another day. There are lots of options from third party lens makers, but they too are made for particular lens ‘mounts’. Questions about image stabilisation and AF motors – in-body vs in-lens – are less important because the brand you choose determines the answers. Canon began putting AF-motors into its lenses decades ago, Nikon only after the millennium. Canon’s full frame EF lenses can be mounted on EF-S (APS-C sensor) bodies (images will be cropped), but EF-S lenses cannot be mounted on EF bodies. Nikon does a better job here as it’s full frame FX cameras have a DX setting for using the smaller lenses. You can use full frame lenses on DX cameras too but here you need to do more homework to understand Nikon’s schizophrenia. Older and dearer Nikon bodies still have AF-motors, but recent consumer models like the D40, D40x, D60, D3000, D5000 don’t and will only autofocus the newer AF-S lenses, which have the AF motors built-in. Virtually all Nikon lenses made in the last decade are AF-S. If you’re pro shooter, you’ll buy a full frame camera. Full Stop. You need the bigger sensor and the fast shooting and the robust body and the superb poor light performance. Unless your work demands Hasselblad kit with a bigger sensor again and 60 megapixels and a price tag to match, that is. If you’re an amateur but still have a set of good lenses from the 35mm days, you’ll want to buy a full-frame camera to use those lenses. At present, full frame cameras start at US$2,000 with the 24 megapixel Sony Alpha 850. Canon’s EOS 5D Mk II and Nikon’s D700 cost another $500. Pentax and Olympus don’t make full frame cameras yet and Olympus probably has no plans to do so. If you’re an enthusiast and don’t own any lenses, and don’t plan to print your photos bigger than 3’ x 2’, there’s little point in shelling out for a full frame body. You won’t see enough difference in image quality or general performance, and the heft of the camera tends to match the price, and that goes for the lenses as well. I’ve written in more detail about the practical aspects of full frame here. At present, the sub-$1,000 twin lens kits offered with cameras like the Canon 500D, Nikon D5000 and their Sony and Pentax equivalents (A350 and K-x) are superb value and are a huge leap forward from digicams in the areas of speed, operation, flexibility, image quality and more. The leap from here to full frame is a much smaller one. Where are the best places to buy your camera kit? I’ve always preferred specialist shops to the depressing sameness and vastness of the Walmarts and Bunnings of this world. Sadly, there aren’t many left – even in a city the size of Sydney, you can count them on one hand. There are camera chains like Adorama and B&H in the USA, or Teds and Paxtons here. If you live in America, count your blessings: you enjoy the lowest prices on the globe. The last entry here is the first one offering Australian stock and a warranty to match, the others are ‘grey’ importers. You’re paying almost 50% extra for local stock, and Ryda’s are about the lowest prices. Chains like Camera House ask close to $1,500 for the same kit, almost twice the lowest price here. And while I know nothing of Blue Fly Mobile, I can vouch for DD Electronics and DWI (no. 2 & 4 on the list), and so can a few of my friends. They’re just as efficient as Adorama and B&H, and just as cheap. Of course you take a risk when it comes to warranty issues but, with quality camera kit, you’d have to be unlucky. On the other hand, I’d probably buy pro lenses and expensive camera bodies from a reputable local source with local warranty and use shopbot.com to negotiate a better price. Bear in mind that, with goods exceeding $1,000, the genuine internet dealers will charge GST and customs duty for shipments to Australia which takes the edge off their big item ticket prices. These tax and duty issues will vary from country to country, and I can’t do more here than suggest you check out the rules in your part of the world. As I said before, you’re blessed if you live in the USA where the chains offer very competitive prices along with Amazon and its competitors. And frequently you get free shipping thrown in. To get the best price, it pays not to be in a hurry. While you do your homework, sign up for email newsletters from the most likely sources – that way you’ll know about their specials as soon as they come up. And they do, at Thanksgiving, Christmas, Easter, end of financial year, summer vacations and for all kinds of other reasons. There’s always eBay, of course, where GST is not an issue and prices can be attractive but new risks rear their heads. Clearly you need to stick with sellers who have a track record, and very close to a 100% rating. Ken Rockwell has written a very useful piece on how to play the eBay game. I can’t add anything useful to Ken’s piece except that buying in your own country keeps the freight costs down and makes it easier to deal with any problems that arise. 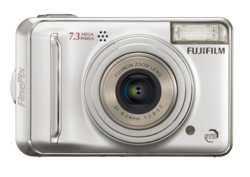 When is the Best time to Buy a Digital Camera? Hi There! I actually purchased a D90 a few weeks ago, and im quite impressed by the quality of shots. The ability to change so many features is amazing. Comping from a Lumix Z28, its a definate step up! Diffused and a separate flash,, means I can shoot non stop, and get rid f the shadows! Quite frankly, I don't even see a reason to get anything over that. It's all down to the image and the lens and the conditions at the end of the day. No one would tell the difference between a photograph taken on a Canon 10d (£90 off ebay) or a 1dmk4 (£3,500?) at ISO 100 in 99.9% of media in which you would see the image. Press or tv, or even billboards (ever seen how big the dots are up close??). Only the original image at 100% or in a large, top quality print MIGHT give it away. The glass is the most important, thing to buy, but if you are buying a weather sealed lens, why get a body that may not survive a shower? - whether you are a landscape photographer or football match tog, weather sealing is required. If I'm at an event that NEEDS covering, I can't say "hang on till this shower passes". I HAVE to capture the image, whatever the weather. Having said this, the newer cameras, be it 7D or 1dmk4, and other new ones (sorry, don't keep up with Nikon), have amazing low light sensitivity equivalent to ISO 200 on older compacts or dslr's. So it's horses for courses really. My latest acquisition is the 1Dmk3 and am just loving it for its 10fps and mega battery! Took it to its first event 3 weeks ago and after 3000 photos battery was still 49%! Whereas I'll use a 20D for other stuff that doesn't require me to carry such a beast around my neck or if I don't need 10 fps. Apart from my 1Dmk3, all my cameras have been eBays, and have had no problems at all. And selling/upgrading is quick and easy. Just make sure you use Paypal, and when selling, get tracked delivery, and you'll find it trouble-free. 2. shopbot:: DWI http://www.dwidigitalcameras.com.au/store/product.asp?idProduct=1792 I've bought a Nikon lens from them, a mate bought a Canon S90. Very efficient and reliable. Obviously its grey market so no local warranty, but look at the price. No worries, Danferno. I agree with you about the Canikon dominance, and I'm writing a Pentax K-x review diary on my blog right now. I'm also trying to get my hands on an Olympus E-PL1. I was wondering if someone could help me.I'm a beginner to photography,I'm going on a course soon but i know a bit about photography . I am so passionate about taking photos and really want to get into it and take it seriously. What I cant decide on is should i get a new camera ( i was looking at the Nikon d5000) or should i stick with my parents old camera ( an old Fujifilm).I really like the Nikon because i heard it's really nice for beginners and takes great photos etc.I also feel a bit limited with my parents camera. Mike Stan - I think you misread the statement as "3 INCHES x 2 INCHES" when what was actually said was "3 FEET x 2 FEET". Don't forget that your next camera could be second hand. I bought my E-500 after it's successor was released and it still takes excellent photos, although I am ready to move on. Danferno, I'm with you, I guess it comes with Canikon having the overwhelming majority of the Camera market. With all respect to the author, writers need to jump off the Canikon marketing machine and give more consideration to the smaller camera makers. They sometimes have inherent advantages over the big guys for certain situations. All modern SLRs take good pictures, some are better suited to certain situations (even the half frame Olympus). Pentax, Olympus and Sony stabilise all their lenses, because they put IS in the body! (Except the bottom E4xx range from Oly.) Pentax and Oly have weather sealing on certain lines. I could go on, the point is there can be great merit in considering them both for equipment and format reasons. I do not agree about the if your a pro you shoot full frame. I have a few pro friends and they shoot d200 or d300 and are perfectly happy. I my self shoot a 50d planning to upgrade to 7d. Lots of pros like the crop factor depending on there work. With a 1.6 crop or 1.3 crop 1d you get more range out of your existing lens. This makes hat f2.8 70-200mm have a longer reach even at f2.8 this factor is used by say sports photograhers. I think it just depends on what you feel like using a pro can make a dime store camera produce pleasing shots. The camera is again just a means to and end. The composition and framing are what make you a pro not your massive 5d or 1ds. In that case I apologise. It does make me wonder why you're not reviewing the other brands (sony/pentax/olympus/...); the DSLR article is all about Canon & Nikon. Alright, people, not all pro shooters use full frame DSLRs. Yes, you can get great photos from a Nikon D90 or D80 or Canon 40D and 500D. The few pro shooters I know use bigger sensors, that's all. Thanks for the clarification on the Olympus E420 (yes, it is a 450 - well spotted Thomas!! Barry, for portraits and wildlife you need very different lenses so I'd suggest a Nikon D5000 or Canon 500/550D with a portrait lens (80 - 120 prime) and a telezoom that goes to 300 or so. I am a hobbyist photographer. You wrote - "If you’re pro shooter, you’ll buy a full frame camera". Excellent article. I have a Nikon D80 and several Nikon lens, and enjoy the results I get. I'm tempted to buy the D90 for the better features. However I'm the one who would make my D80 obsolete – and it's not a situation where the D80 becomes obsolete. I believe the author was comparing the micro 4/3s to the 420 which happens to be one of the smallest DSLRs on the market. He was not saying the 420 was a super compact. The photo is comparing the sizes of 420 to either the EP1 or EP2 (I can't tell which one it is) which is Oly's super compact line with interchangeable lenses. And yes the EP1 did come with an outrageous price tag when it first was introduced. I only have a fuji 500 and using Photoshop CS3 to enhance my images. The only reason I have this camara is because I have been out of work for some time. My interests are Portrait and wildlife, can you point me in the right direction please for a camara for this work. Many Thanks. Mike, I meant 3 foot by 2 foot! I have printed RAW images as 8x10 and larger than 20" wide using my consumer APS-C DSLR (Canon 400D), and they look fine. I think your statement about "photos bigger than 3’ x 2’" requiring a full frame sensor is a little much. I will agree that having the extra resolution gives you more flexibility in post, and obviously better low light... but for many the $2.5k price tag is hard to justify given the other options available. By far the best way to choose your first DSLR body is to put your hands on all the different models. Fortunately, I lived in Tokyo when I bought my first DSLR and was a 10 minute walk to 2 huge camera shops (Shinjuku Bic Camera and Yodobashi Camera) so I had no trouble deciding between Canon and Nikon. I did not even consider other brands because their ecosystems cannot touch Canon or Nikon, especially the used market in Tokyo. I ended up choosing Nikon because Canon does not make a body under $1,000 with a top of the body LCD (good for checking settings without turning on the battery using rear LCD) or the ability to native trigger a remote flash, not to mention two easily reachable dials. I enjoyed most of this post. I am a professional and shoot with a D300 (not a full frame). I do plan to upgrade to the -soon-to-be-announced- D700 replacement to get to full frame, but you can really do wonders even without that. The biggest benefits to full frame are noise reduction, not really more megapixels. In fact, I would prefer an 18mp camera to the 28mp any day just for signal to noise ratio. Good article. I have been assessing and "upgrade" from my D40X. Wanting to stay with Nikon because of lens investment. My two targets are the D90 or D300s. I spent a lot of time online reviewing specs, reading reviews, etc. A lot more time talking to people who own both. On paper, it is hard to decide. But, I tested both cameras and there is a clear difference in the user experience. Any assessment of next camera should include actually using the camera to see if it "feels" right and gives you the shooting experience you need as a photographer. An awful lot of professionals use APS-C. I'm not so sure about that claim that you must have full-frame (and lose a good deal of magnification in the process, if that is important to you). The best photostock (not micro, which have lower standards) companies are fine with APS-C. The bit about super compacts made me cringe. Did you even research any of this? "Their new compact designs with interchangeable lenses don’t use an SLR type see-through-the-lens arrangement with penta prism or mirrors. Instead they make do with an optional electronic viewfinder and a live view screen." The E420 (you even have an image of it) has a standard mirror viewfinder. "‘designer’ prices in the $1,500 – $2,000 range, expensive add-ons"
What? My E420 was the cheapest camera on the market at that time, giving me two excellent kit lenses and the body for 450E (comparable canon/nikon cameras gave only one kit lens for 600E). Don't believe they're excellent? Look them up on dpreview. I don't know what the "expensive add-ons" is supposed to refer to. Flashes & lenses cost the same as canon/nikon equivalents. "slow focusing and shooting, electronic viewfinders"
I can't say anything about the focusing because I've only used non-olympus camera's twice, but the shooting isn't slow. For the record, 3,5 fps on raw. That's more than 99% of photographers need. See above for the electronic viewfinders bit. "These new designs fill an obvious gap in the market, and offer lens interchange options between 4/3 brands, but lens choices are limited." It's true there's no 50$ prime for the 4/3rds system, but that's all. "If you’re pro shooter, you’ll buy a full frame camera." Unless of course, you like getting in really close without sticking a 3k lens on your camera. Good post. Given that the title is "how to choose your next camera" I just want to add that when you 'need' your next camera, don't forget that there is a whole 'nother world out there. Film. Cheap film SLR and rangerfinders, LOMO Dianas and Holgas. For some, this maybe the perfect companion to a basic point & shoot. Not for many, but they are out there. As well, when evaluating DSLRs, the bodies may become 'obsolete' soon, but these days it's becoming a race of ISO instead of a race of megapixels. For me, the ergonomics and 'feel' for the camera is a key piece as well and I highly recommend that anyone shopping seriously go and pick up the camera in a store and play with it. Feel it in your hand, flick through the menus and take a couple of in store shots. You just can't get that kind of tactile feedback shopping over the web. Are you even a pro? Do you know what the D300s and 7D are capable of? I don't mean to harp on you so harshly, but as a pro myself, that kind of statement is just absolutely wrong and gives the wrong idea to people who may not know better. Also, the D300s is built pretty darn well and can take a beating with the best of them. It may not be hermetically sealed like the D3 or 1D's from Canon but still. Aside from that, the point you made in the first few paragraphs were right on and can completely agree with you there. Don't tell that to all of the pro photographers shooting the Canon 1D Mark III which is a 1.3x crop body. Wow. What a fantastic post. I don't think I've ever read a more in-depth, accurate, right-on tutorial on how to go about buying a new digital camera. The Ricoh GXR sure is intriguing! Do you have any recommendations on a super zoom, ultra compact pocket camera that can go very wide, too? Say, 20mm? Are any companies developing something like this?